Choose whether Eevee evolves into Flareon, Jolteon, or Vaporeon. This guide explains how to evolve Eevee into the evolution of your choice in Pokémon Go. Thanks to a nifty little name trick, players can control whether Eevee evolves into Flareon, Jolteon, or Vaporeon. This Easter egg was confirmed by Niantic, and should work when evolving Eevee into each of the three variants for the first time. Eevee is one of the few original Pokémon whose evolutions involve distinctly separate variants rather than an evolution chain. Upon transformation, Eevee will randomly evolve into either Flareon (fire type), Jolteon (electric type), or Vaporeon (water type). 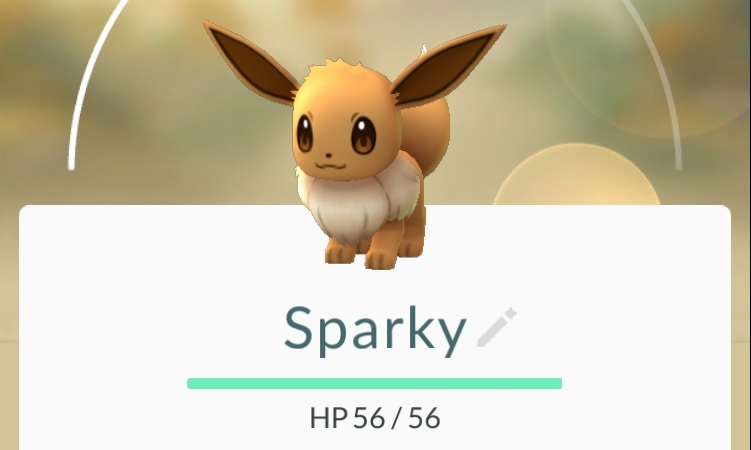 However, the Pokémon Go community soon discovered that a simple name swap can eliminate Eevee’s evolutionary randomness, at least on the first attempt for each. What’s in a name? Apparently for Eevee, names possess the power of evolutionary selection. Selecting for a specific Eevee-lution is as simple as remembering the three Eevee Brothers from back in the early days of the Pokémon anime. To secure a particular evolution, all you need to do is rename your unevolved Eevee using one of the brothers’ names: Pyro for Flareon, Sparky for Jolteon, and Rainer for Vaporeon. After renaming your Eevee, close the game app and re-open it to ensure the new nickname registered properly. Evolve your renamed Eevee when you have enough Candy. If the name change was successful, your Eevee should transform into the corresponding evolution type based on the name given. Some players have claimed that the rename trick only works once for each evolution type. Nevertheless, Niantic confirmed the Eevee evolution secret while at San Diego Comic-Con, further legitimizing this simple Easter egg. If you plan to evolve one of each variant, you’ll need to save up 75 pieces of Eevee Candy, 25 per evolution. Vaporeon’s capability to dominate gym battles early on made this variant a popular pick amongst players. However, since the first major Pokémon Go update, the three Eevee evolutions have become much more balanced. For details on gym battling, head over to our guide on claiming gyms in Pokémon Go.